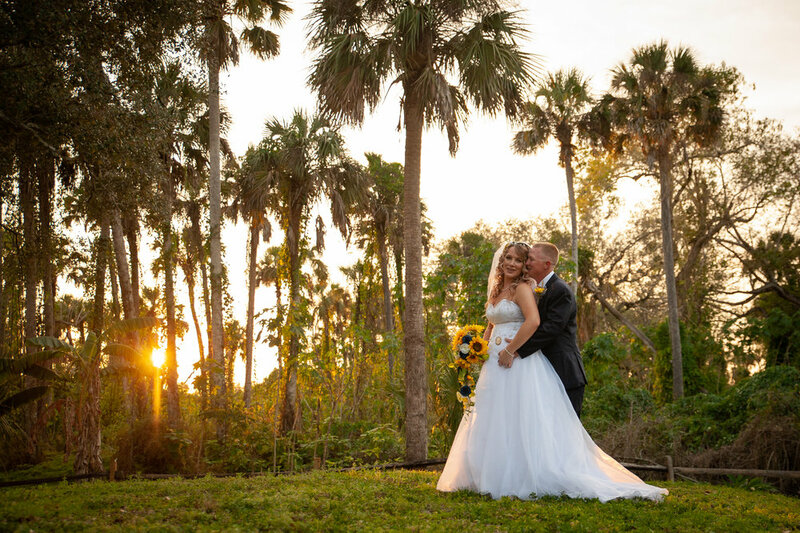 Sunflowers and a country wedding with a whole 'lotta LOVE! I was bursting with excitement Saturday morning as I was driving from the East Coast to photograph Corey and Kasey’s wedding that was located near Fort Myers. After a week or two of cold spells and rain, it was such surprise to finally have sunshine and a beautiful breeze through out the day. Their wedding and reception was held at the Buckingham Community Center. If you ever have the chance to look up the history of this place, please do so. First and foremost, the building itself is listed on the National Register of Historic Places and has been in existence since 1895. It was first used as a school house all the way until 1945. When you walk in to the house itself, you can easily see how it was used as a school house. The wood floors and the beautiful details of the building was pretty cool to see. Corey and Kasey have been together for almost ten years and they were s o excited to get married in the sight of this historic building along with their family and friends. The groomsmen were funny and you can tell that they were all really good friends with one another. What I thought was really sweet was his Dad was one of his Groomsmen. I can see why too. They were really close and considered to be each other’s best friend. They all wore a gorgeous blue vests and yellow ties and helping one another get dressed by adjusting and putting on their ties and adjusting their boutonniere’s. The flower girls I absolutely fell in with! 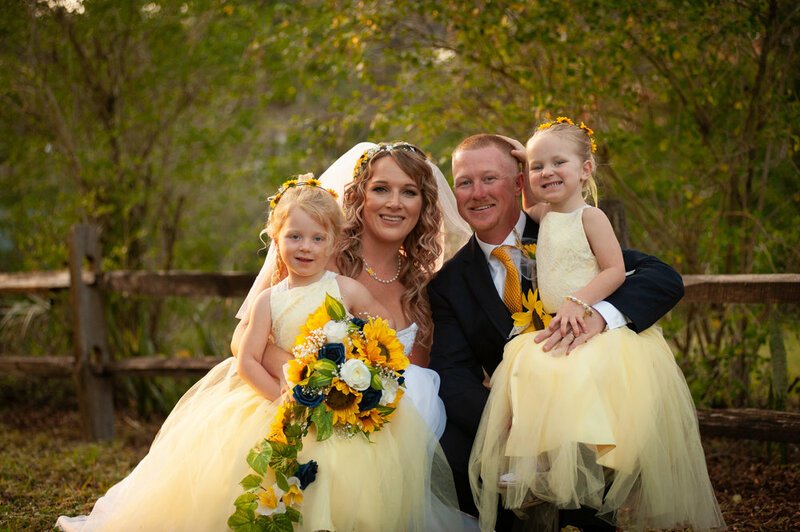 Each of them looked adorable in their yellow dresses adorned with lace and sunflowers. Kasey looked so beautiful in her wedding dress and her bridesmaids coordinated so well in blue just like their groomsmen. Look at the pictures. You’ll see why I loved this wedding so much. From the historic building of the Buckingham Center to the sunflowers lovingly match with everything….it was a day with filled love, laughter and happiness!